Applications are now closed. Please check back for our next round of microgrants. Over the years, Footsteps members’ have expressed leadership, ingenuity, and creativity in a variety of forms. In an effort to support and strengthen these activities, Footsteps is proud to launch our second round of the IGNITE! 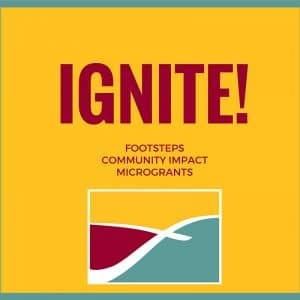 Community Impact Microgrant Program. Grants of up to $5,000 will be available to Footsteps members who seek to promote the growth of the formerly ultra-Orthodox community; enhance the culture Footsteps members are creating; and spur social change based on their experiences related to ultra-Orthodoxy and the process of leaving. For a complete description and application, click here. Application are due by August 15th, 2018. All applicants will be notified by September 30th, 2018. The grant money must be spent by June 2019 and a final report will be due. Note: IGNITE! is a competitive microgrant program; there is a limited amount of funding available. Email chani@footstepsorg.org for more information!